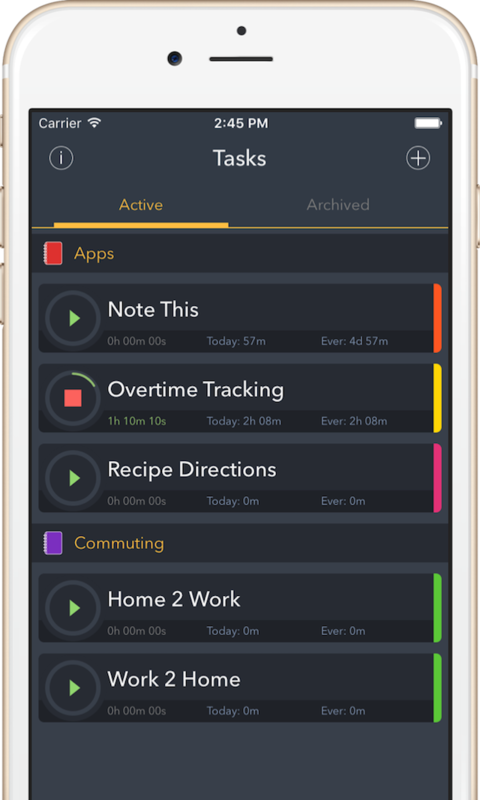 A conveniently, simple, and easy to use time tracking app, to improve your productivity with a quick tap on your iPhone. As you can have multiple tasks, you can also have multiple timers running at the same time. To easy to use, and don't have the need to open the app, you can access your tasks from the Today widget. You can also define geofences for your tasks to remind you to start or stop timers. Having in mind the freelancers, you can define billing rates to easy track your earnings. There is also ability to export your task time entries in csv format. Add notes to your time entries, as also your tasks itself.